Once again Buicks have proved their worth. In the recently concluded Alpine Contest in Victoria a Buick received first place for reliability in the Owners’ Event, Class C., and a Buick was also on top for reliability in the Open Event, Class C.
In the latter event only three Buick Cars were entered, and they finished in the Petrol Contest first, second and fourth, the mileage per gallon respectively being 24.24, 21.47, and 20.57. 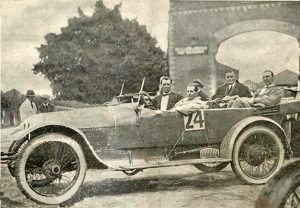 In the Private Owners’ Event, Class C., only one Buick Car was entered in the Petrol Contest, and this car finished first, petrol consumption being 20.40 miles per gallon. Though the shouting and the tumult has died away, the results of the great Victorian 1,000 miles reliability contest, and their influence on the motor trade generally, are being calmly weighed by experts. No matter from what standpoint the test is viewed, the opinion is unanimous that it was the most successful of its kind ever held in Australia-. Some people who have knowledge of trials conducted in other parts of the world, unhesitatingly declared the Alpine run lost nothing when compared with the big events of the older countries. Certain it is that the Victorian test, if conducted annually, will rank as one of the most important events in the world. Praise is being showered on the Royal Automobile Club of Victoria for the excellent manner in which it conducted the contest. 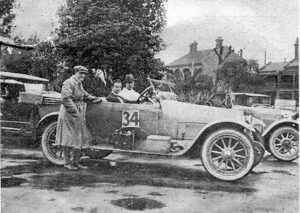 The Club’s efforts were keenly appreciated by the contestants, the motor trade, and the country shires along the route. The last-named were fully seized of the fine advertisement their districts gained as touring resorts. ALL PREVIOUS TESTS IN THE SHADE. For 31 cars to start off on a 1000 miles run, under the strictest of conditions, over a route that called for expert driving, high efficiency, and dependability in cars and tyres, and for 29 to finish, tells a story of all-round excellence in driving and wonderful reliability of the modern car. Any previous reliability competitions held in Australia were child’s play as compared to the test just concluded. Not only have the contestants given a wonderful display of driving, but in many instances they have shown stamina and ingenuity out of the ordinary; in fact, some of the repairs executed by contestants who struck trouble were carried out in amazingly quick time. All told, the run was brimful of incidents from start to finish, and will furnish motorists with something to talk of for months to come. Two cars were overturned -one in the Mount St. Bernard hill climb -but without serious results; in fact both cars were in the running right to the finish. The route selected is an ideal one, calling for first-class driving; very mountainous in places, climbs and descents along narrow mountain cuttings sometimes extending 13 miles in length. Hair pin turns could he counted in thousands, whilst countless “V’s” awaited the careless driver, and brought about broken spring leaves and bent axles to the unwary. It was just the course to find out weakness in the car and carelessness in the driver; but, despite this, the results were surprisingly good. The test was practically divided into three sections: -Reliability, 800 points; fuel consumption, 100; and two hill climbs 50 points each the total attainable being 1000. 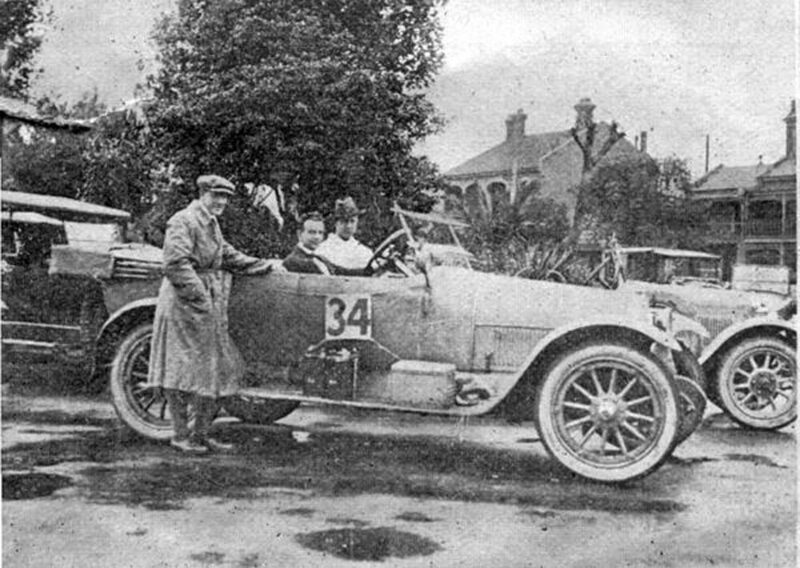 In the reliability section points were deducted even for lifting the bonnet during running time, an observer being aboard each car to see that all conditions were faithfully carried out. Points were deducted for arriving at control too early or too late, and in many instances the former carried more loss of points than the too late penalty. 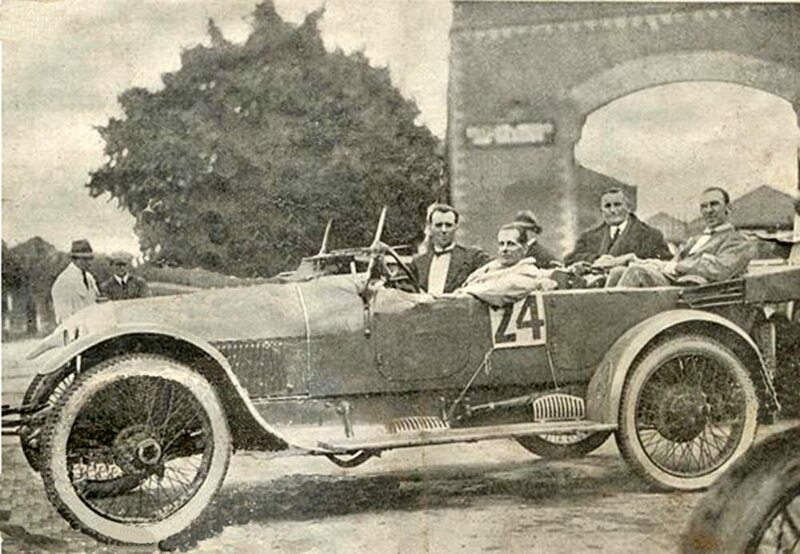 The petrol consumption test, held the first day over a 200 miles course, was conducted on lines that called for genuine touring speed, thereby eliminating freak performances, that are no good to anyone, and are certainly mis-leading to potential motorists. In this test some very fine results were attained, particularly when one realises that the time schedules called for an average.speed of 19 m.p h. for the small-powered cars, 221/2 m.p.h. for the medium-powered, and 25 1-5 m.p.h. for the big-powered cars; furthermore, the later section of the run was negotiated in a heavy downpour and over muddy roads. From a reliability point of view the conditions of the contest were particularly strict, but 29 cars finished the course. An Interstate contestant was enthusiastic in his remarks concerning the trial. In expressing his views be said: “This Alpine reliability contest was the finest and best organised trial ever held in the Commonwealth. The route is through some of the finest country one could wish to travel.Although very mountainous in places, the roads over the whole route are excellent and well graded. Any average motorist could do this Alpine tour without fear in the dry season. It was carried out in a very thorough manner. 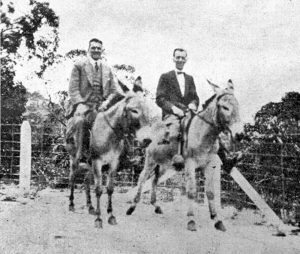 The supervision was strict, and everybody on the run had a great time, especially on the two sight-seeing days, when the cars had a rest, at Lakes Entrance and Mt. Buffalo. Breaks like this in a contest are certainly a great help to the owner-driver, and relieves one of strain, on such a long drive. “The officials had a strenuous time. 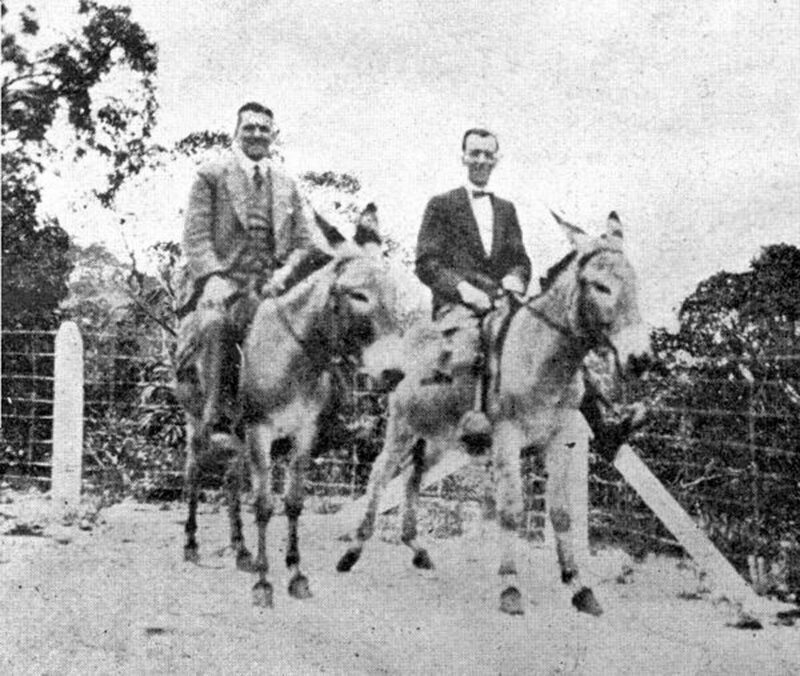 They worked practically night and day, and too much cannot be given to them, Harry James and Mr Grice in particular. It was a treat to see how well the whole organization ‘worked. “I was pleased to see that the term ‘reliability’ did not enter into this contest in the proper sense of the word. It certainly was a reliability trial. I doubt if any cars will succeed in obtaining full reliability points, owing to the strenuous yet fair, conditions, together width the thorough final examination of each car by three independent experts.